At Slideways, we’re all about the components our customers need to maintain and optimize packaging systems, conveyors, and other material handling systems for moving packages and products. No matter what industry or application you’re involved with, we’ve got the components you need to keep your system up and running. How “custom” is a custom roller? 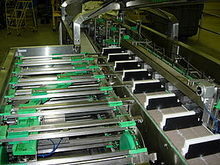 At Slideways, the short answer is “as custom as you need it.” We have extensive experience in manufacturing all kinds of conveyor system rollers in a wide range of materials for any number of applications, including unit material handling systems, food processing equipment, and conveyor chain and belt returns. Slider beds are guides used to improve the life and performance of the various types of timing belts. Timing belts are normally used in conveying applications that require accurate placement and/or positioning. 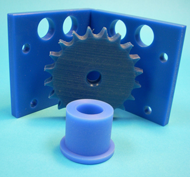 The benefits of standard plastic machinery components are many. Today’s plastics are marvels of advanced engineering, just as strong and chemical- and heat-resistant as many metal alloys. That’s why standard plastic machinery components are a great option for many commercial and industrial processes, machines, and systems. Virtually every materials handling system, such as a conveyor system, is subject to advanced wear caused primarily by friction. 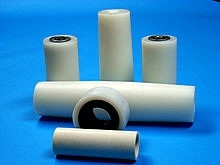 Conveyor components – no matter how durable and well-made – eventually wear out, often causing unnecessary downtime and added expense..
Ultra-High Molecular Weight (UHMW) is the highest quality polyethylene (PE) available, engineered for extreme performance and a wide range of applications. Because UHMW plastics resist so many different kinds of abuse we use it for machining plastic components and chain guides destined for high-wear operations such as commercial and industrial conveyor systems. Virtually every manufacturing and distribution operation utilizes conveyor systems to move parts and finished products from one location to another and from one process to the next. Regardless of the products being conveyed or the processes with which the conveyor system interacts, all conveyor systems have the same basic components: belts, rollers, guides, bearings, and drives, to name a few. These are the components that provide the power and motion that enable the conveyor system to function. Improved productivity is the focus of every manufacturer as Lean manufacturing strategies continue to gain popularity. Companies are constantly looking to minimize downtime, maximize operational efficiencies, and reduce costs. What some manufacturers fail to understand, though, is that productivity can only be as good as your equipment. 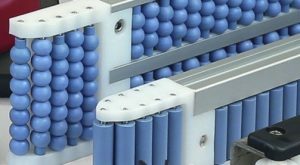 What Are the Benefits of Using Plastic Bearings? It’s not hard to understand why some product designers and engineers would hesitate to use plastic bearings in their designs. 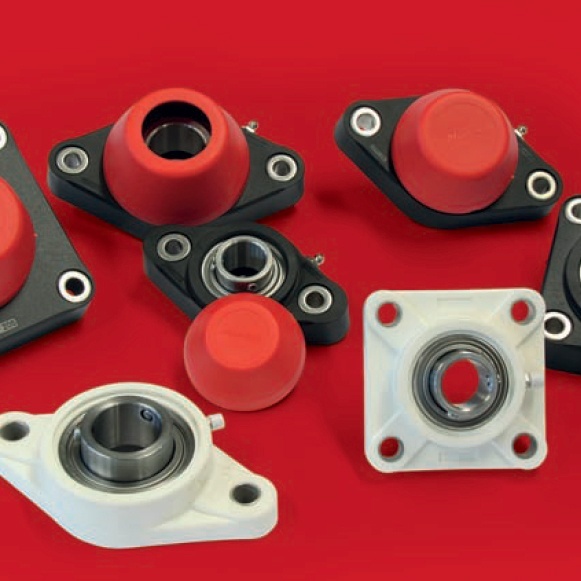 After all, they’re probably used to rugged product and subsystem components like bearings being made from alloys such as steel and bronze or they simply don’t think plastics can handle tough applications or extreme environmental conditions. Plastics have long been identified as some of the safest and most efficient materials for a variety of uses in the food industry. 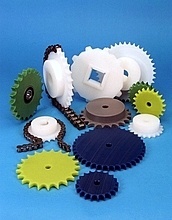 Plastic sprockets are a fundamental part of any food industry conveyor system and processing machinery because their physical properties including wear resistance, wide operating temperature ranges, and superior tensile strength offer a number of crucial benefits. Plastic sprockets combine light weight, durability, and easy cleaning to provide food handling equipment manufacturers with a durable, reliable, and versatile component for a variety of food preparation and transportation systems.